Friday, October 26: For the second day in a row, I am up early to catch a 7:40 a.m. flight. 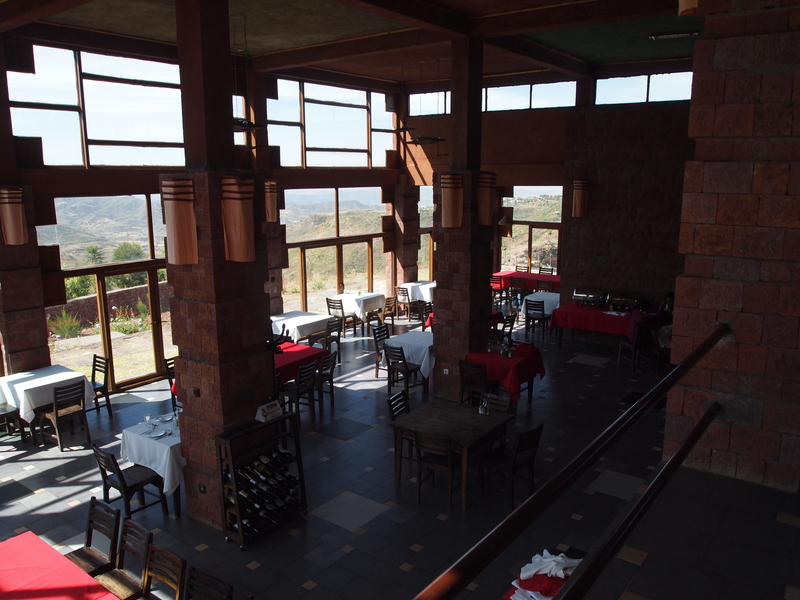 This time, we are leaving Addis Ababa for Lalibela in the north of Ethiopia. 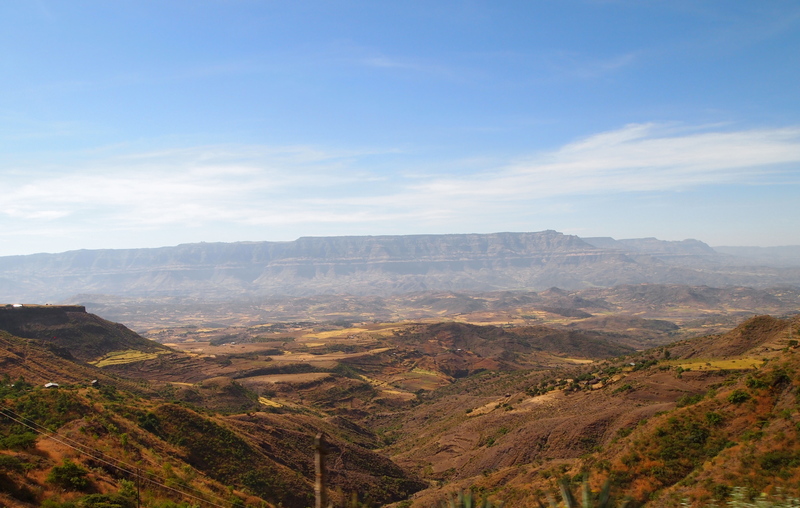 Locals say the drive to Lalibela takes several days because the roads are not good. Lucky for us, our flight is only an hour. 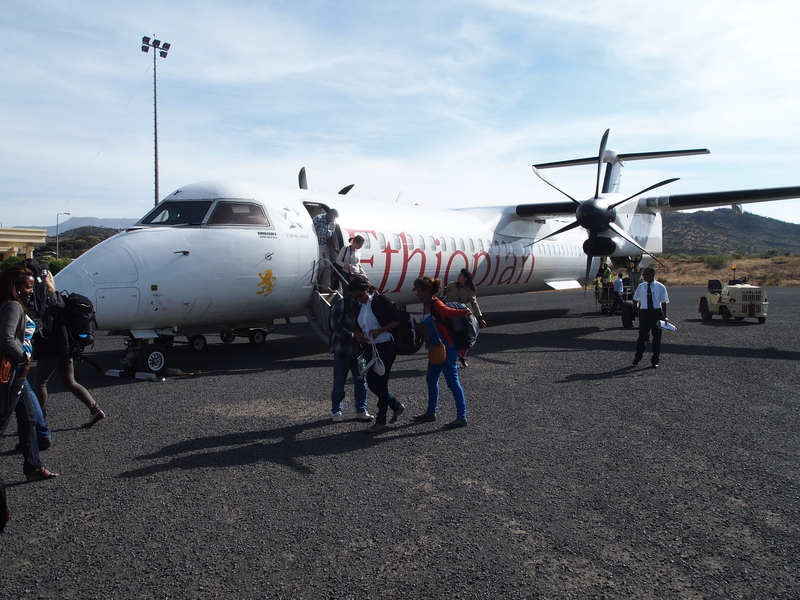 We arrive by Ethiopian Airways to Lalibela. 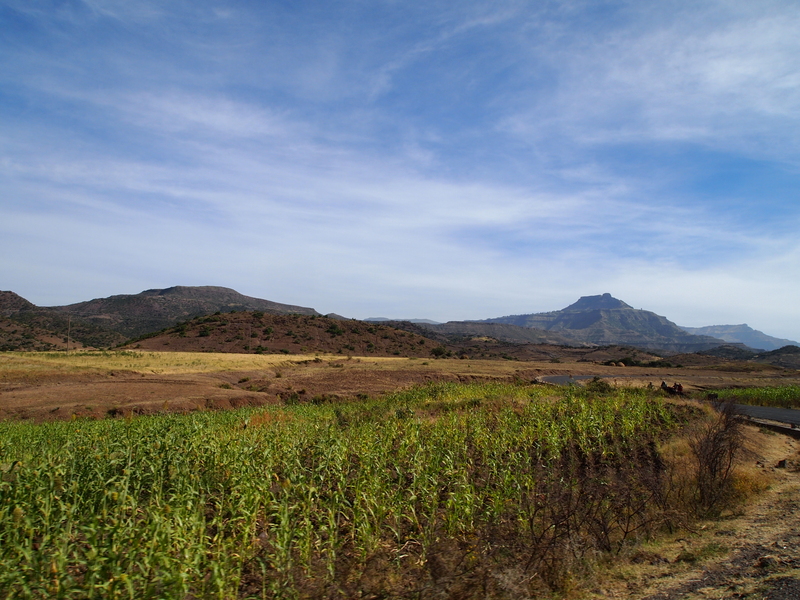 After we get off the plane, we drive through the countryside to reach Lalibela. 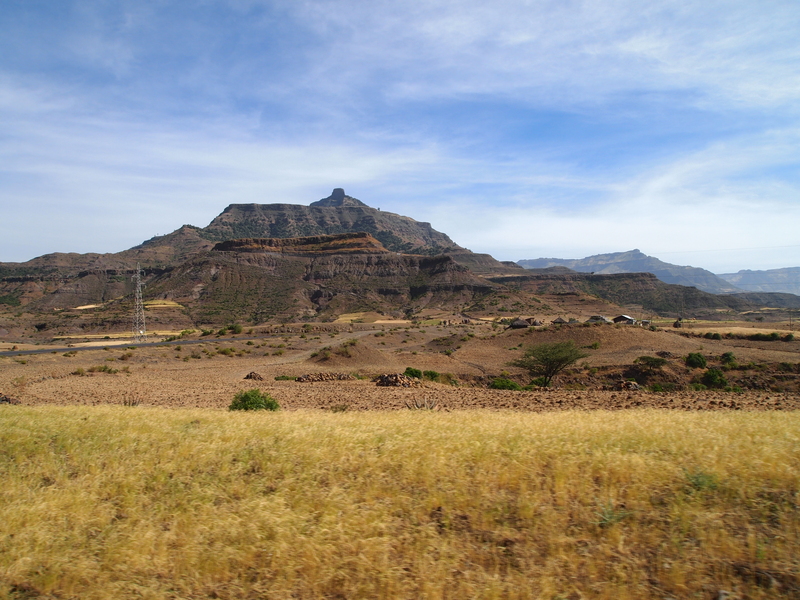 We pass fields of tef, the grain used to make the spongy staple Ethiopian bread called injera. 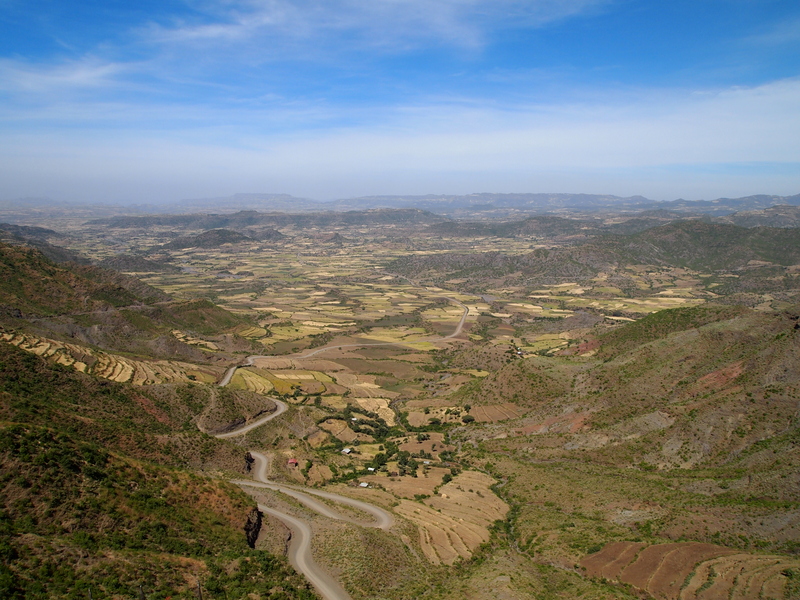 We see the Mesket Escarpment, where multi-day trekking tours can be arranged. 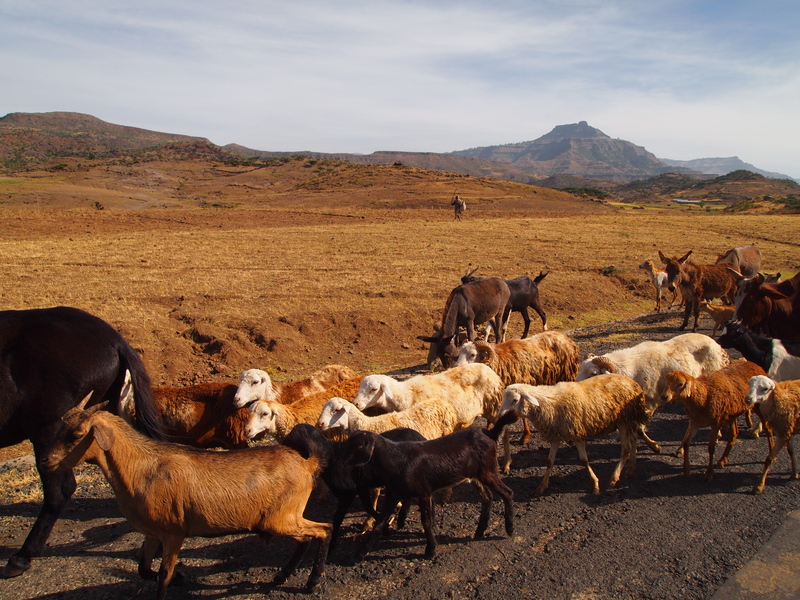 We see children herding a menagerie of sheep, goats, donkeys and cows. 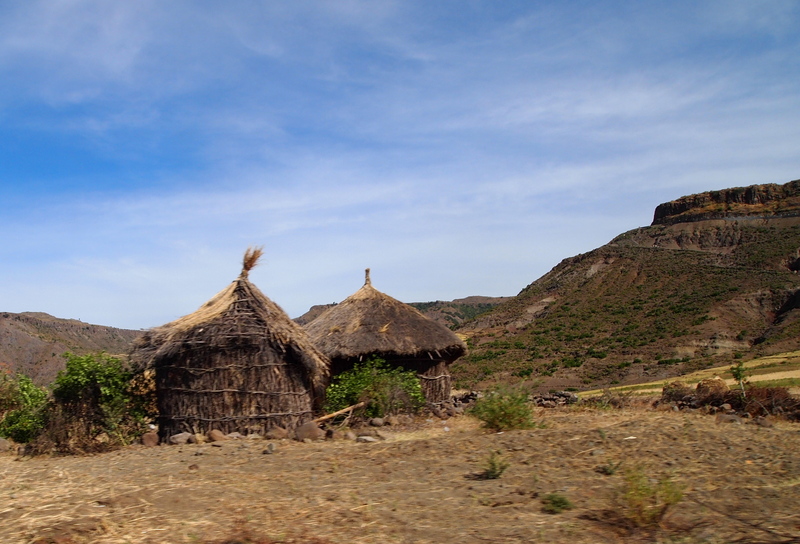 We see agricultural fields and tukuls, Ethiopian traditional cylindrical huts with cone-shaped roofs. 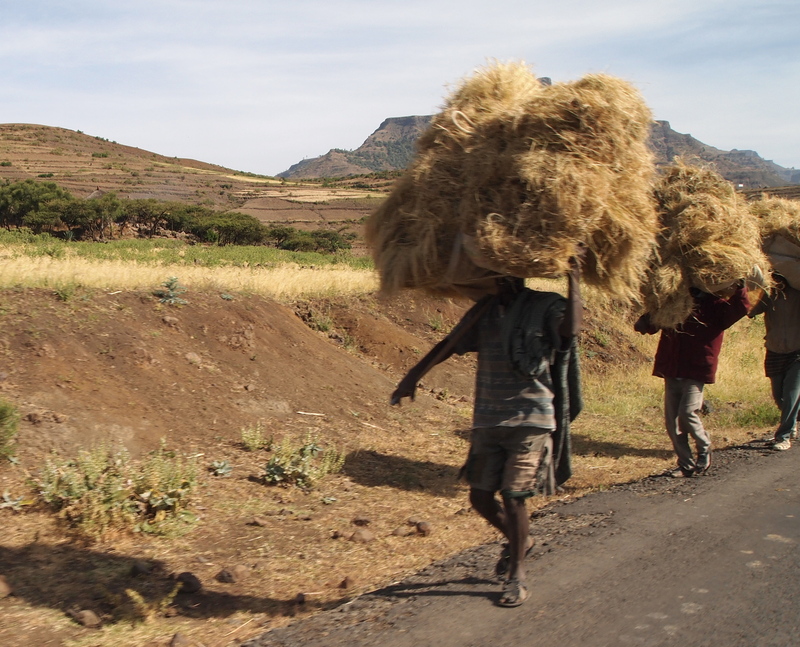 We see men, boys, and children carrying crops on their heads. One man rides horseback but most people just walk. 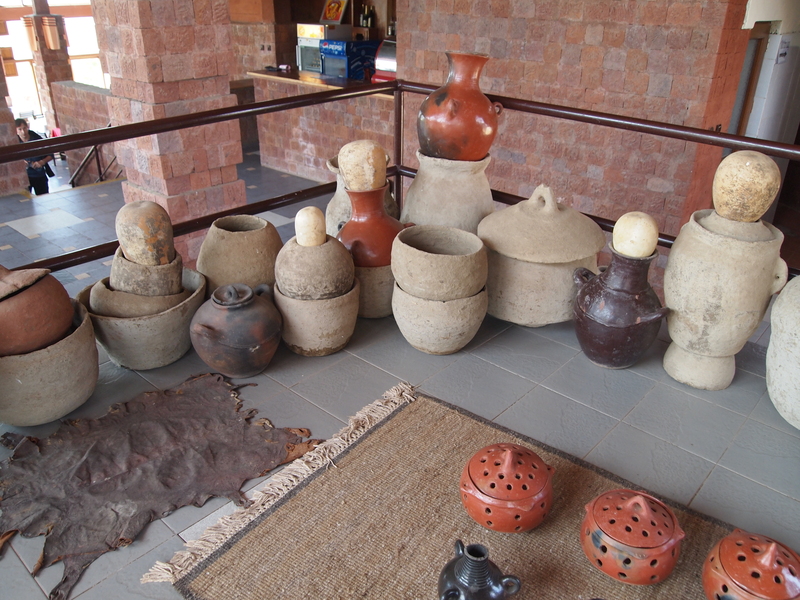 Then we head out to explore the rock-hewn churches of the town. 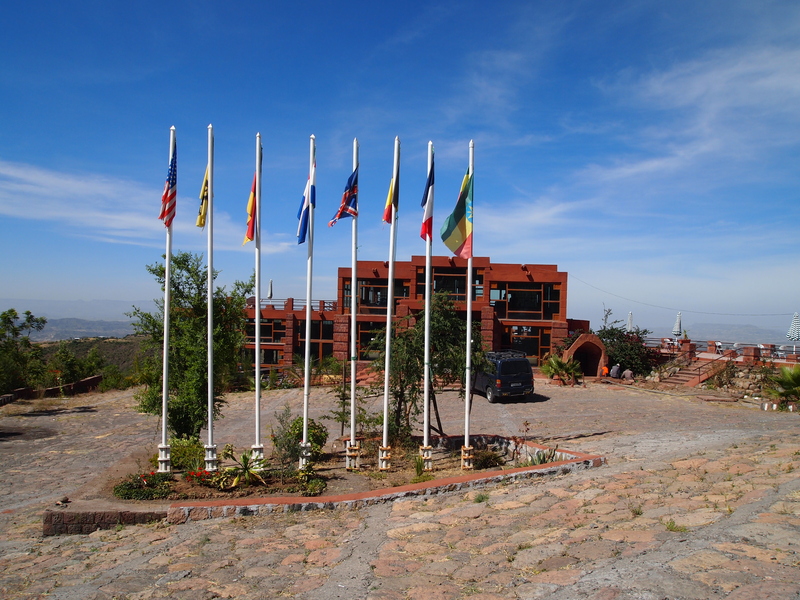 The Northern Group: Bet Medhane Alem, home to the Lalibela Cross and said to be the largest monolithic church in the world, is possibly a copy of St. Mary of Zion church in Aksum. 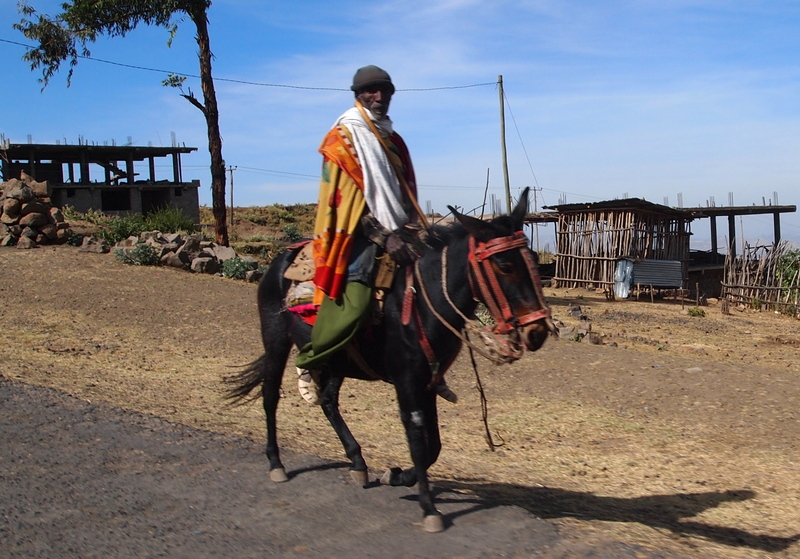 It is linked to Bet Maryam (possibly the oldest of the churches), Bet Golgotha (known for its arts and said to contain the tomb of King Lalibela), Bet Mikael, the Selassie Chapel and the Tomb of Adam. Bet Meskel and Bet Danaghel, a semi-chapel and chapel. 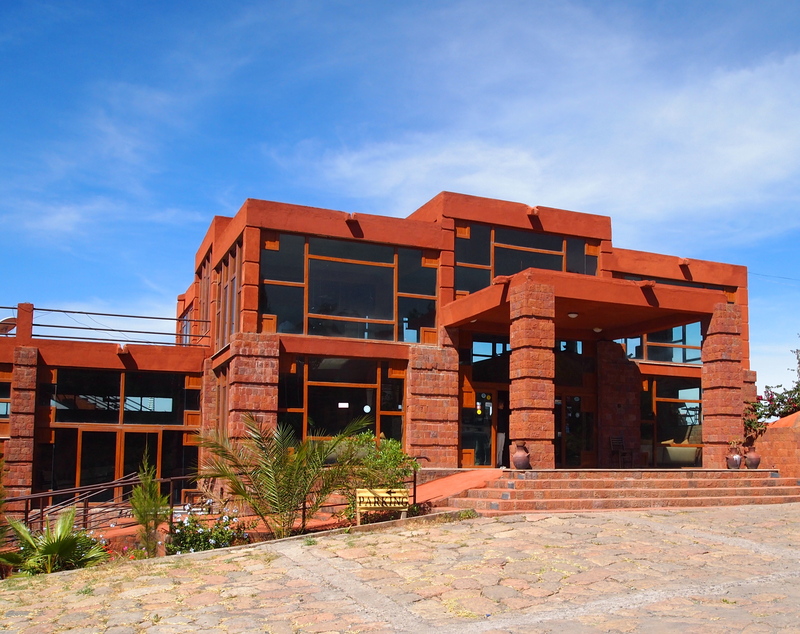 The Western Group: Bet Giyorgis, said to be the most finely executed and best preserved church. The Southeastern Group: Bet Amanuel (possibly the former royal chapel), Bet Merkorios (which may be a former prison), Bet Abba Libanos and Bet Gabriel-Rufael (possibly a former royal palace), linked to a holy bakery. The blue of the skies with the golds of the earth are striking! 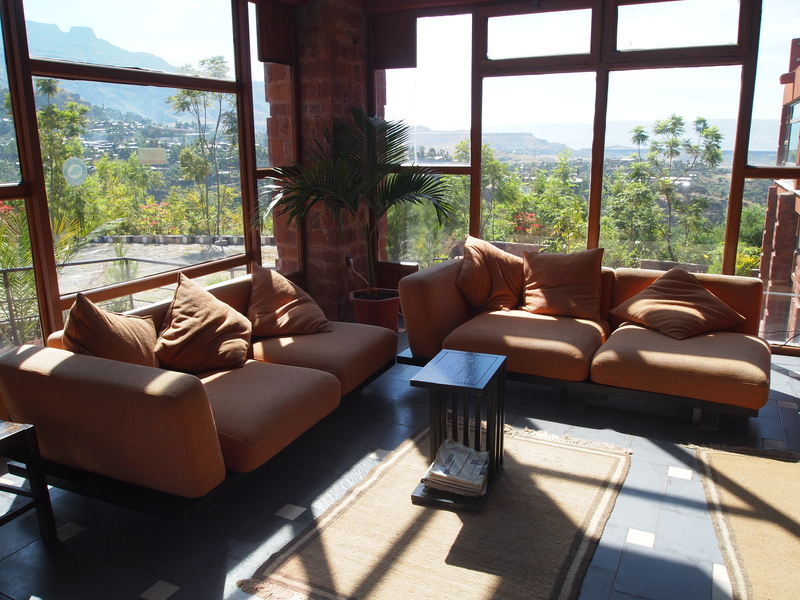 The hotel certainly stands out – are the rooms also glass walled? Thanks, Sylvia! I’m glad you like them. 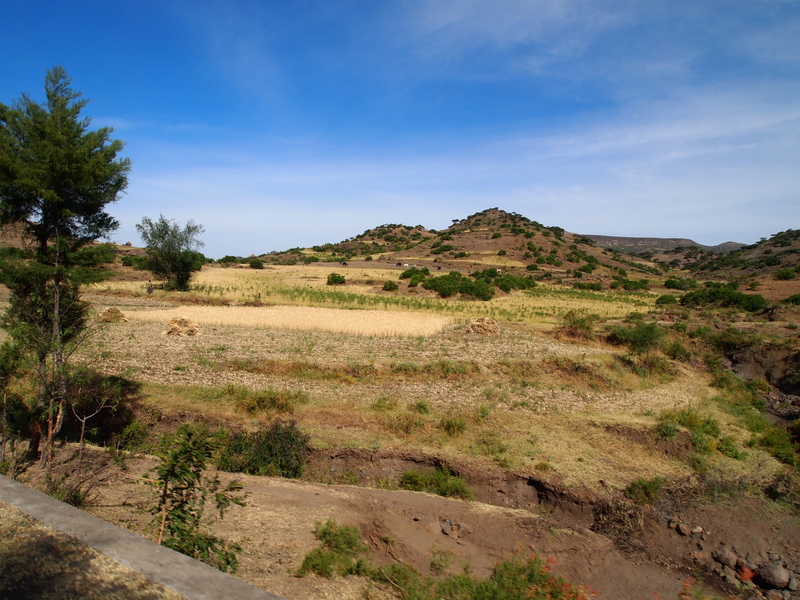 I love this Ethiopian landscape and was really surprised by it. I’m not sure what I was expecting! 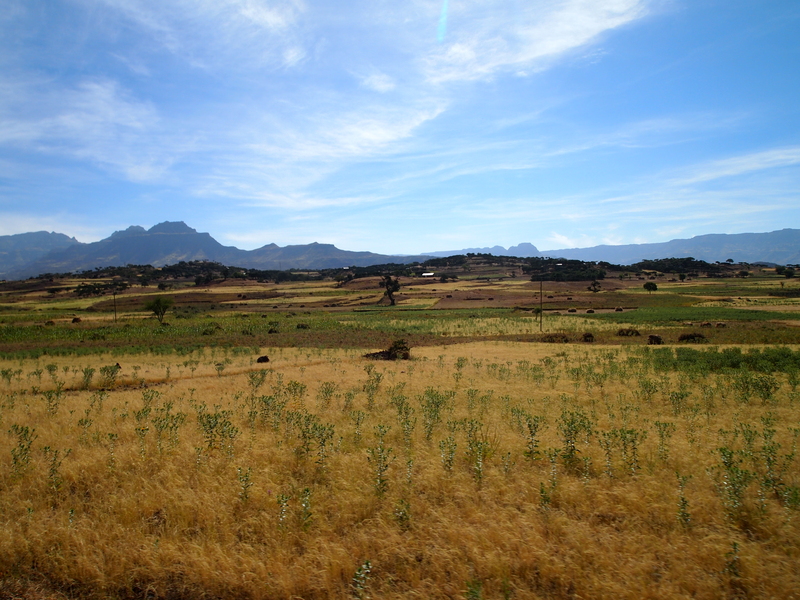 Does much of Africa look like this? Yes, once you get out of the towns and cities. I often think that the people who live like this are much happier and more content, than those who flock to the big cities, leaving their rural life and culture behind. I think you’re right. 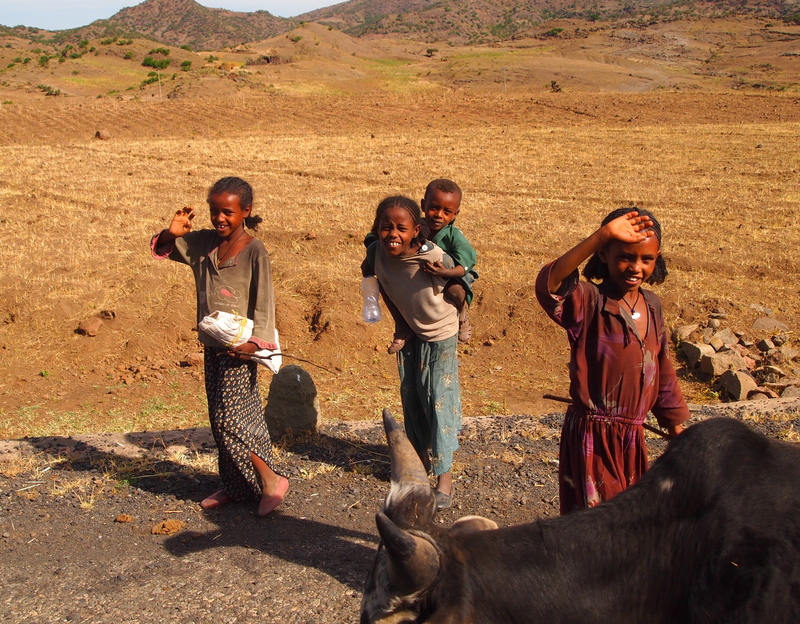 The people in Lalibela, as poor as they were, seemed very happy. And their faith seemed so strong. I found that amazing!